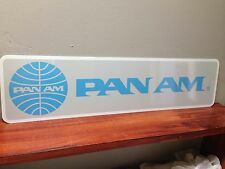 PAN AM Collectible, Memorabilia Metal sign 6" x 24"
Antique Archaeology. Large Zipper Pocket. Model: BCR36063 (Grey Goose Flying Goose Display). This item is great for the guy or gal that loves Grey Goose and wants to have the ultimate display piece on the Bar. 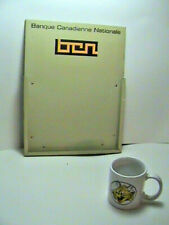 This item would look great in a Man Cave, Nick Nack Cabinet, Bar, or even Bedroom. It has a few scrapes, but is in overall very good condition. This is an antique stoneware mug done in a light grey with light blue trim and pino and colored flowers. Some people had these sitting on their dry sink, but this is a relic from days before indoor plumbing. This piece measures 3.5" tall and 3" across. It is in nice shape with no cracks or big chips. It does a couple of small nicks as seen in the photos. Please ask questions before bidding or buying. This will be packed with care for a safe delivery. Feel free to ask to combine shipping. Please make all payments thru PayPal in a timely manner. Thank you for taking a look at my items, please come back often as I add new items all of the time. This is an antique stoneware chamber pot done in a light grey with light blue trim and dark blue flowers. Some people called these thunder mugs, but this is a relic from days before indoor plumbing. This piec measures 5" tall and 9" across. It is in nice shape with no cracks or big chips. It does a couple of small nicks as seen in the photos. Please ask questions before bidding or buying. This will be packed with care for a safe delivery. Feel free to ask to combine shipping. Please make all payments thru PayPal in a timely manner. Thank you for taking a look at my items, please come back often as I add new items all of the time. Red White and Gray. It is in Nice shape no horrible dents or scratches. Nice colorful Litho. Use It Over and Over again or just Nice for the Mancave or hang in your Backyard or Garage. Featuring shapely ladies in swimsuits engaged in water sports (log-rolling and canoe tilting). I believe the artist is Nick Afonsky (Little Annie Rooney). Year: 1940. Great set of four pieces! You are buying as is. Good overall condition with discolorations. Novelty Signs make GREAT gifts… Why do Novelty Signs make such great gifts?. Because a novelty sign symbolizes a personal connection between the giver and receiver. The Finished Job of this Signs are spectacular. 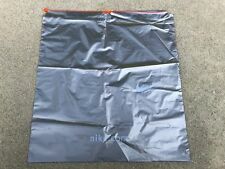 The top plastic insert can be pulled up after unlatching the hook on the back. There are (16) holes to display Combination Wood Drill and Countersink Bits.The (2) wood drawers can be opened after the chained locking rod in the back is pulled out of the hole. VINTAGE TIN CHRISTIE'S 1910 ZEPHYR CREAM SODAS / Biscuit Cracker - CANADA LG. BISCUIT / CRACKERS. CHRISTIE'S. SODA CRACKER TIN COLLECTIBLE. The inside is clean. The paper label is in good condition with minor loss. This is an old tin. TIN / BOX / CAN. MADE IN CANADA. 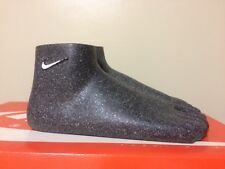 Nike mannequin foot display. his sale is for one set/pair. Shabby Chic look. 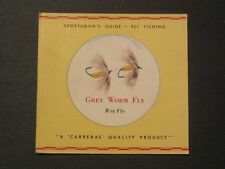 Inside lid reads: A product of Scotland GRAY DUNN BISCUIT MANUFACTURERS Established 1853. Embossed NASCAR emblem on front and back. 6-1/2" high with handle. RAY-BAN EYEWEAR DISPLAY, FIXTURE. COLOR: GREY & BLACK. STICK ON THE BACK LEFT SIDE IS MOVING. ITEM TYPE: EYEWEAR DISPLAY. COUNTRY OF MANUFACTURE: CHINA. THE DISPLAY WAS PREVIOUSLY USED. MATERIAL: PLASTIC. We pledge to work with you to reach a solution you will find exceptionally satisfactory. Trim has a bit of corrosion but would clean up. Glass is excellent. Gray rear corner is cracked on one side (see picture) but does not impact how the case stands which is level. Buying as-is. Cute Fossil box in excellent condition. No literature or brochures, and cardboard roll that went inside box is missing. 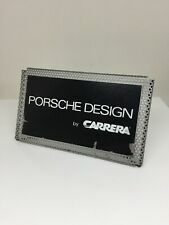 VINTAGE OLDSMOBILE SALESMAN 12" X 6" METAL STANDING BUSINESS CARD HOLDER SIGN! Picture of 1940's bakery with display window on front and back of the tin. Tin in beautiful condition with no dents, scratches or corrosion. Paint and surfaces are clean and bright both inside and out. Models shown include 8130, 5808, 8145 and CT-600. Year: 1978. This is an actual ad page from an actual magazine, not a reproduction or copy. Nice old charm. Good condition. 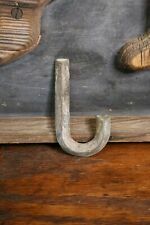 Great for shadow box display, jewelry making, or art project. I combine shipping for multiple purchases. Please check out my other items for sale. THANKS! The small calendar is complete and is dated 1959. It is in excellent shape. Condition is good with light wear, no tears or markings. 12 1/2" X 8". See Pictures. TEAVANA Collectible Tin. • Empty (NO tea). Vintage Grumbacher Metal Display for Artist Paint Brushes Countertop 15-5/8"